It’s official! 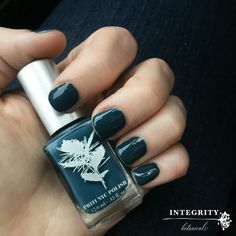 Kypris is now available at Integrity Botanicals. To celebrate this special launch, we have an in-depth interview with Kypris founder, Chase Polan. This interview will give you a full picture of the inspiration and spirit behind this special line. 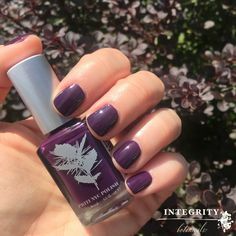 In addition, Integrity Botanicals has a fabulous Kypris offer for you! See below for details. Susannah: Kypris Beauty has emerged as a highly respected skincare line over the last year or so. Tell us about the ethos behind Kypris and the evolution of your line. Chase: Thank you for the kind assessment. We started as a brand that served the integrative medical market so we are very focused on efficacy as well as quality, ethical sourcing. Our formulas leverage the intersection of traditional, western science that values repeatability and clinical studies with cutting edge green and natural science that values research, efficiency, and quality growing and procurement practices. With the way each community regards the other, you’d think they have nothing in common but they sure do! This is skin care so efficacy on its own isn’t really sufficient because the experience needs to be beautiful and pleasurable. In fact, there is ample science showing that regular pleasure diminishes the elevation of cortisol, a neurotransmitter which when heightened is associated with stress, unfavorable gene expression, and slower healing times. Pleasure that does not harm yourself or others is healing. Also, our namesake Kypris is actually a pleasure loving, spa-going goddess. Had you been one of her devotees you would have prayed to her for a healthy family, a good marriage, beautiful children, protection and victory at war, good business outcomes, and bountiful crops. Plus, you would have gone to the spa regularly as She famously visited the baths at Paphos. Each product KYPRIS introduces is made with all of this in heart so you can make like the goddess you are and pamper yourself regularly. What do you feel sets Kypris apart from other natural skincare lines? Without question, it is our efficacy, safety, reverence for science, our sustainability initiatives, and commitment to supporting our patrons’ relationships to their Beauty. All of our products are formulated with clinically proven ingredients by chemists with more collective experience behind the bench than I am old. The green beauty world is filled with these gorgeous small batch, artisan products that will beautifully condition and moisturize the skin. To get beyond that safely, you really need to look at the science and work within a facility that can properly manage and quality control ingredients and formulas. Creating elegant, effective formulas is equally important as the safety of their use. And interestingly, our labs have been instrumental in bringing the products from our smaller co-op growers and wild crafters (like our prickly pear) into our formulation process in a formal way. It’s been really wonderful to watch evolve. Another point of differentiation is our focus on safety. There is this very dangerous idea out in the world that ‘natural’ is the same as ‘safe.’ That simply is not the case. Besides testing at every phase of development and production, because we serve spas and the medical community as well as apothecaries, we are careful to select effective ingredients that can be used by as many people as possible. A common safety concern I see is the mis-use or mislabeling of essential oils. Essential oils are some of the most powerful natural ingredients. Their correct concentration and appropriate use is something unique to each oil and each product. Generally they must not be used undiluted on the skin. (Tea tree and lavender are two common exceptions.) We are very careful to respect and give a wide berth to the scientifically documented upper limits of our essential oil use for purposes of safety. What concerns and frustrates me is when I see products marketed to everyone when there are specific essential oils that contain constituents that can be very harmful to pregnant women, nursing moms, young children, the elderly, or anyone with nervous system sensitivities. There are studies published in what are considered industry standard safety manuals indicating that these essential oils can set off an epileptic episode or otherwise be problematic. Yet, the products make no mention of this. The FDA has even written warning letters to offending MLMs that do not properly label essential oils. Just because they are natural does not mean they are ubiquitously safe. I would really love to see other brands do a little extra research and become more prudent labelers so the right people are purchasing their products. In fact, did you know that there is a tiny percentage (like less than a percent) of people who do not make a protein that allows for their bodies to metabolize essential oils? I am of the opinion that there is an additional subset of the ‘super sensitive’ population that depending on a host of circumstances – ie pregnant, nursing, pre-menopausal, active autoimmunity, sun over exposure, cancer, cancer treatment, remission, stress, etc – that determine varying sensitivity to essential oils. For all these reasons, we make three products free from essential oils: Antioxidant Dew, Moonlight Catalyst, and Beauty Elixir III: Prismatic Array. Another point of differentiation is our elegant formulations. For those making the shift from traditional, plastics-laden personal care to naturals, we at KYPRIS work very hard to ensure that what we create has an elegant wear, texture, and feel. One thing you will frequently see in the natural market is lots of oils and waxes and plants extracted with oil and waxes. That is great as they are generally safe however you’re only getting the part of the plant that is relatively non-polar or soluble in oils. Plants have many of beautiful water soluble constituents (think tea or a tisane or hydrosol) that are very valuable to the skin. With all the amazing green technologies and extraction methods and organic farming techniques, we have this fabulous palette to choose from! Hopefully you like the results. When it comes to sustainability, ‘actually natural’ is not good enough. That is where sustainability for the end user begins, but being the spiritual creatures we are, having a supply chain that honors both the earth and the impressive people who make the raw materials possible is vital. This is what we mean by ‘Beauty from Beauty.’ You can’t make something gorgeous from exploitation or suffering. Many of our ingredients are the byproduct of comestible ingredients being made. Our grape seed oil comes from wine production. The prickly pear seed oil comes from the seeds separated from juice, medicine, candy, and dye creation. Our baobab is from locals consuming the fruits of the tree. Not only is attempting to use every part of the plant without disrupting a food supply chain important, it is vital that we not indulge in the trend of monocultures as it just is not ideal for skin, the land upon which they are grown, or the economic vitality of the communities. We are seeing this issue of monocultures in US agriculture, and it’s been problematic for the land and the bees and our collective health. Another issue is that some of these ingredients are from plants and trees that require years, decades even, before bearing fruit so one day the ingredient is hot, the next year the ingredient is ‘old news,’ but meanwhile a community has dedicated its land to cultivating these plants or trees that no longer have the same commercial value. So they have the same costs, less demand, and lower earning power. It can be a mess. So, for these reasons, you will never find a monoculture product in our line. We will never sell a product that is just a single ingredient unless it can be synthesized in a lab or we can do it the way Kahina does it. Their dynamic with a single cooperative is completely different than what traditionally happens in the marketplace. I have deep admiration for her work. Lastly, I would say that another major point of differentiation is how we lens and discuss Beauty. Even though many women who seek “anti aging” treatments find happiness with our products, we will never use the term. There are many things to be opposed to and aging simply isn’t one of them. Dry skin. Dull skin. Sagging skin. Crepe-like consistency? We can totally be opposed to these things and help you to alleviate them all, but they have nothing to do with your age. They have everything to do with sun damage, environmental assault, excess inflammation, nutrition, and possibly telomeres. Nothing to do with the passage of time or your personal maturity. I think that how we experience and talk about our beauty and our bodies is very powerful. This collective idea that youth is somehow better or preferable is unhelpful and has nothing to do with gorgeousness. I refuse for KYPRIS to be part of this youth obsession. In my wildest dreams, how the brand approaches these issues will challenge the consensus on how we talk about our physical beauty and maybe even touch on owning our desires. We’re allowed to have desires and have them fulfilled. One last fun point of differentiation… All of our packaging is inspired by feminist art and movements. You’ll really start to see this unfold as the brand grows. The serum bottles are all inspired by the art nouveau movement where beauty and function were valued equally. We saw the early stirrings of the women’s suffrage movement and the removal of bones from women’s clothing delivering our foremothers to greater physical freedom. The Beauty Elixir bottles are inspired by the apothecary movement when your ‘cure’ was likely also your pleasure. Can’t wait to share what we have coming next! The Beauty Elixirs are truly beautiful and effective in my experience. What makes the Kypris Beauty Elixirs so special? Thank you for the kind words! The three Beauty Elixirs epitomize the blending of Nature and Science. Each Beauty Elixir contains a carefully selected and sourced rainbow of plant oils and extracts tailored to a specific skin type and aromatherapeutic experience. They’ve been formulated with the inspiration of natural medicine physicians’ tinctures: the inclusion of different sources of the same beneficial constituents. The thinking is that the bioresonances of the different botanical sources deliver both enough similarity of a desired constituent and sufficient differences such that your complexion will not become complacent or indifferent to the benefits of the formula. We have also included three of western science’s most potent skin-lovers: CoQ10, Vitamin C ester, and Vitamin E. Our Beauty Elixirs are actually certified by the CoQ10 manufacturer as it is considered the gold standard of antioxidant care in the medical community. Should your physician — natural or western — suggest you supplement CoQ10, it is almost invariably created by the same company that supplies ours. It’s important to note that the PROCESS is patented not the CoQ10 itself. You can’t patent naturally occurring anything, and this CoQ10 is as pure and potent and stable as it comes. At its included concentration, the CoQ10 has shown to diminish the appearance of all manner of sun damage from uneven skin tone to undesirable texture. We even had a bride write in who got a major sunburn right before her wedding, used her Beauty Elixir, and didn’t peel. It’s fantastic for boosting antioxidants and for caring for sun over-exposed skin. We do emphatically recommend taking the preventative route and coupling the Beauty Elixir with an excellent SPF during the day and at night in combination with your favorite KYPRIS serums. In addition to the CoQ10, the vitamin C ester is actually classified as a drug in another country so it has been studied extensively for both its efficacy and stability. In particular, our version of vitamin C ester will love on your skin’s collagen and inspire its creation. Studies show that in order for your skin to benefit from topical vitamin C, an ample supply of vitamin E is required. Our vitamin E comes from several different plant oil sources like mixed tocopherols from non-GMO soy and our wild-crafted and organic prickly pear seed oil, which boasts a wealth of vitamin E.
The Beauty Elixirs are really fun to sell because many patrons think they’re just getting a nice smelling Beauty oil, but then about 8 to 10 weeks go by, and we receive these emails saying how they woke up and their skin some how just looked better. It’s really tickling! I had this exact experience when I was testing the final formulations. Then we get to write back and say… just wait, because the magic really kicks in around 20-24 weeks. The Beauty Elixirs epitomize ‘Slow Beauty’ and prove when you effectively nourish skin as opposed to treat it harshly, your complexion will thank you. All of this has informed the size at which the Beauty Elixirs are offered. We want our patrons to get as close as possible to that 5 to 6 month mark with just the single bottle. We feel confident that once they see how beautiful the results are and how far one bottle of Beauty Elixir goes, they will be extremely pleased with their investment. Can you tell us about the formulation process behind the Beauty Elixirs? How did the concept come about and how did you make your vision a reality? The three Beauty Elixirs are multi active, moisturizing beauty oils intended for three distinct skin types and aromatherapeutic preferences. The only difference among them is the essential oil blend. These products in particular were interesting to create as the oils are as pure, raw, organic, and wild as ingredients can be from lands dotting across 6 of the 7 continents while the actives are as about as clinical as they can be. The Beauty Elixirs are this fabulous reconciliation and intersection of two seemingly disparate worlds each with their own paradigm of integrity, which is exactly what drives our brand. Beauty Elixir I: 1,000 Roses is made for rose lovers with skin that is on the drier side. It’s really important to note that sometimes skin that is oily is actually dry and dehydrated skin over-producing oil to maintain its barrier integrity. If your skin feels tight and dry after washing but then become greasy, you, my dear, are dry. Grab an Antioxidant Dew and this Beauty Elixir. The Beauty Elixir II: Healing Bouquet is made for essential oil lovers with skin that desires some balancing. 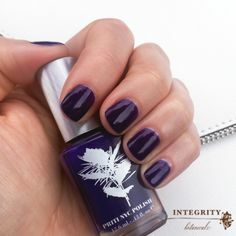 The essential oil blend is an inflammation modulating blend of high altitude lavender (which has a lower concentration of volatile compounds like camphor so its less drying on the skin and has a rounder, sweeter scent), vintage patchouli that is aged over 3 years giving it a round, earthiness, co-op produced rose geranium that is bright and floral, and a twice distilled Indian jasmine that is just divine. Whenever we go to spa shows, this is all anyone ever wants. Rose who? And Kelly Atterton of Allure named this product as one of her favorites in her Cupcakes and Cashmere interview. I think because it’s an essential oil blend that isn’t as obvious as rose, fewer people have ventured to try it, but it might be my favorite scent in the line right now. The Beauty Elixir III: Prismatic Array is for anyone with skin that is too sensitive for essential oils whether that’s a scent preference because you’re pregnant or because you just have highly reactive sensitive skin. The product smells like oatmeal cookies without raisins. It has as soft, sweet, spiciness to it. This is the product that you will most often find in make up artists’ kits. All three of these Beauty Elixirs will leave your skin soft soft soft, glowing, and well nurtured. Long term you will see an improved evenness of tone, texture, and color. Even if you’re not ready to commit to an entire natural beauty ritual, everyone should have a Beauty Elixir in their skin care collection. You can include drops of it with anything and it lasts for several months. I’ve been using the Moonlight Catalyst + Beauty Elixir almost every night and my skin is at it’s absolute best. What’s the best way to apply these products together? Is there a proper layering technique? Thank you for the compliment. I am so happy to hear you are enjoying your results! We recommend literally blending the serums (Antioxidant Dew, Clearing Serum, and Moonlight Catalyst) whether you are using one serum or all three with your Beauty Elixir on your fingertips and then applying. When you blend the two together, you create a micro emulsion. This helps the larger, oil based molecules to absorb into your skin better and the smaller, water based molecules to not evaporate so quickly from the surface of your skin. Over all the effect is beautifully nourished skin that has an elegant finish. For bonus points, offer yourself an honest compliment. The Beauty Elixir I – 1,000 Roses is especially stunning. What makes rose such a vibrant and potent ingredient in skincare? I am so appreciative for this reflection. The 1,000 Roses was the product that really drew the line in the sand for KYPRIS values. When I was working on the formulation, I got to the end where I had to decide between a synthetic fragrance oil and a natural essential oil. I understand that for many in the natural community that this is a no-brainer, however my goal was to create a sustainable skin care line that honors the earth, our end user, and the people who procure the raw materials. Please understand that there actually is the oil of over 1,000 organic and biodynamic roses in each bottle. That is an immense amount of rose material. I actually have written an essay about this process that I’m still trying to get published. The labor required to make the rose oil — and so many natural ingredients — is intense. It’s work that I know I am physically not capable of doing. I have very mixed feelings about this and it’s nearly impossible for me to create these products without sweating. The vetting process is as extensive as we can muster to ensure there are quality growing and labor practices along our supply chain. So our 1,000 Roses is intended to draw attention to both the material intensity as well as the luxury of the product. The roses are grown on a farm owned by a woman who’s family held on to their fields and production through the fall of communism in Eastern Europe. The fields are organic certified, however she grows several other herbs and flowers from which she creates tinctures and infusions to biodynamically care for the crops. During the harvest season from around spring equinox until just after summer solstice, many from the community are hired part time. The roses can only be picked from early morning until late morning otherwise the essential oils evaporate off beneath an increasingly warm sun. Functionally, on the skin, rose oil has many benefits. Topically rose essential oil possesses the unique ability to simultaneously hydrate and tone. Typically that type of firming action is accompanied by a drying astringency where as with the roses it’s all Love, suppleness, and rose-petal-softness. There is also an antioxidant content that is very valuable to skin. Aromatherapeutically, there are studies suggesting that rose oil may help to counteract grief and anxiety. Energetically, rose essential oil supports our fourth, heart chakra, our center of unconditional Love that serves as the counterpoint between our more physical, earthly, lower chakras and our more metaphysical, etheric, upper chakras; truly our center. There’s a quote from the Kypris website that I love: Feeling beautiful is a birthright. Kypris Beauty has such a romantic and strong feminine vibe behind it. What was the inspiration behind your branding? With KYPRIS, I have a deep desire to challenge the conversation around Beauty. Most beauty marketing is about creating pretend problems that can supposedly be solved by something in a jar filled with questionable ingredients and toxins. The feminist in me emphatically rejects this. In fact it makes me angry. Do they honestly think we can’t read?! Don’t get me wrong, there is absolutely nothing wrong with desiring a healthier, happier, less inflamed, more taut complexion. In fact we make products that can help with all of these challenges. I am merely a believer in the weight of our words and if we are opposed to time passing or committed to associating our beauty strictly with youth we are in trouble. You want better texture? Fine. You want more supple, elastic even skin? How about healthier, glowing skin? Amazing. We can help you achieve all of this. But to shadow box with some undefinable, subjective, ever-moving goal post? No. It’s futile. It’s a waste of life! More beautiful, touchable, delicious skin? It’s just science, quality ingredients, effective formulas, lifestyle, and care. In reality, Beauty is a vital spiritual experience of Love, acceptance, and pleasure. Anyone or anything: society, bad marketing, your family, your friend, or YOU who interferes with this libidinal life force is a thief. As long as there is no harm caused to you or someone or something else, why shouldn’t we enjoy the exquisite pleasure of being our best selves? There is so much power in that. It is your goddess-given birthright. It’s always been yours… Claim it! Sometimes we just need reminded. 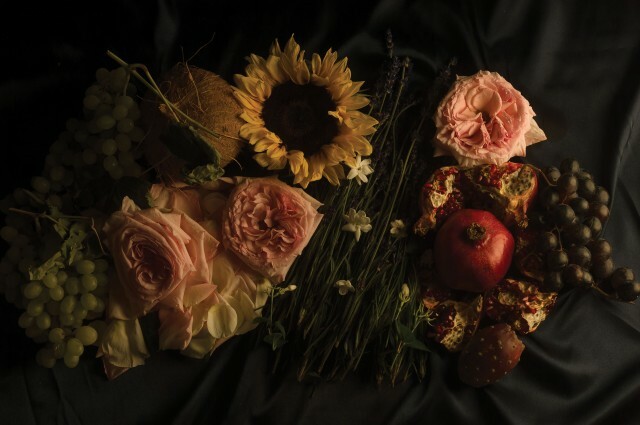 It is my deepest hope that our patrons will use KYPRIS as tools for loving self care rituals that both deliver the results they desire and to connect them to their Beauty and the pleasure of caring for their Being. Ecstatic Beauty.